The Unified Payments Interface, which made online transactions and payments of money so much faster and easier for us, will now be no longer free. Soon, P2P and UPI funds transfers will be chargeable by couple of private banks and it won’t take long for other banks to follow this rule. 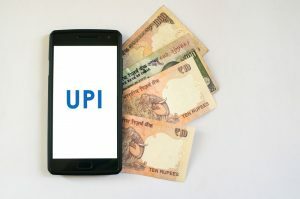 UPI transactions were zooming up month on month basis until now the only mode of transfers which were free of charge, but this shocking disclosure is sure to make a huge impact in the ease of the most favored mode of online transactions. These charges will come into effect from May 1, 2019. Kotak Mahindra Bank is the first one in India that has announced that charges will be applicable on UPI payments. After the first 30 transactions in a month, Kotak plans to levy a charge on each P2P and UPI transactions, and this includes the transfer of money using the bank account number and IFSC (Indian Financial System Code). The UPI charges will also be applicable across all the online platforms which offer the similar option of UPI payment, which includes Paytm, PhonePe, Google Pay, BHIM etc. Paytm, Google Pay and PhonePe have been the platforms which registered the highest number of UPI transactions, while BHIM has not been able to compete. The number of Paytm’s transactions were as high as 221 million, Google Pay and PhonePe made it to 220 million transactions. BHIM, unfortunately, could clock only 14-18 million transactions only. There are about 139 banks that offer UPI payment as an option for online transactions. All big names like ICICI, HDFC, and SBI are expected to go down the same way as Kotak Mahindra, as indicated by market veterans within the banking industry. Currently, the UPI transactions, for both person to person or person to merchant, do not attract any charges. However, some banks have already started sending notifications to their customers stating that person to person UPI transactions would be chargeable from May 1, 2019 onwards.